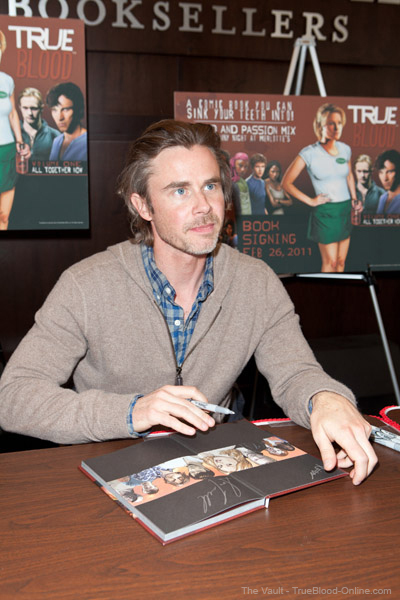 Yesterday, I attended the signing of the True Blood Series 1 comic, All Together Now by cast members of True Blood which was held at the Barnes & Noble store at The Grove at Farmer's Market in Los Angeles. 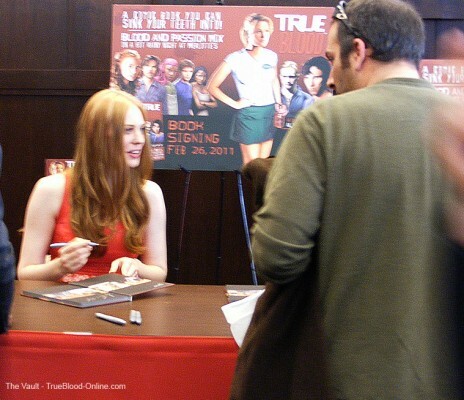 Expected to attend and sign were Deborah Ann Woll, Sam Trammell, Rutina Wesley and Nelsan Ellis. Unfortunately, although all four were expected, it seems that, at the last minute, Nelsan was unable to be there. Fans started to line up to get their wristbands, (needed in order to enter the signing area) as early as 6am and for their efforts, those lucky people received the coveted "red" wristband that gave them the privilege of being at the front of the line. Lucky for me, I was awarded a "front of the line" wristband beforehand, so I didn't have to come early. There had been horrible rain, wind and cold temperatures on Friday night in LA (even some places had snow), but luckily, although the skies were still ominous, the sun was shining and it was a pleasant day, if not windy and temperatures unusually cold for LA. I drove to The Grove which is a beautiful outdoor mall in the heart of Los Angeles in the "Fairfax District". Once in the Barnes & Noble store, I went to the main desk, as instructed in my email, to retrieve my red wrist band and comic books. 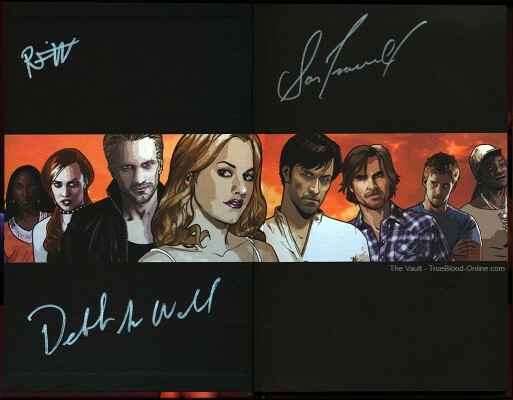 Then, once I had put on my wristband, I carried my two True Blood Comic Books up to the third floor where the event was to be held. It was only about 11:30am at this point, so although I was up in front, I still had another 1.5 hours to wait before the event began. While in line, I met several other Truebie fans and it was a lot of fun to talk True Blood while we waited. The full press and the presence of HBO staff were very apparent with lots of them mulling around to be sure that all was ready and the event would run well. We were permitted to take photos while in line, but once we went up to the table, the cast was not available for "posed" photos and no personal items could be signed, only the comic book. Since this edition of the comic had just made the Graphic Novel New York Times best seller list that morning, all were in good spirits and it seems that the book is already a huge success. Before the cast came out for the signing, they posed for photos in another room devoted to the Press. Once we saw the press and photographers come out of the press room, we knew that it was a matter of time before the cast members would also walk to the signing table. It was definitely after 1pm, (which really wasn't too bad at all), when the cast paraded to the table. First to appear was Deborah with her boyfriend, EJ, next Sam, and then Rutina. Deb had on a pretty red/orange colored dress with a floral print skirt, Sam was dressed in a light brown sweater and checked shirt and Rutina was in black slacks with a free flowing pink top. All three looked lovely. Once they were all seated at the table, the signing started immediately. 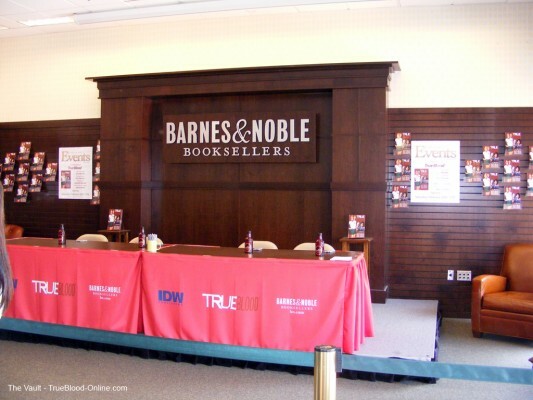 When my turn came, I was asked to hand my books to a Barnes & Noble representative to inspect; I suppose they wanted to be sure that there weren't any personal items hidden in them. Then, the books were passed to an HBO representative who gave them to Rutina, who was first to sign. When I got to the table as Rutina signed, I mentioned that I had seen her last fall in at the recording of "A Raisin in the Sun" and had also seen her (and Sam) at "A Pretty Filthy Evening" recently. She was very sweet and asked me how I liked "Raisin" and I said I had loved her in it and that it was a great play. Next it was Sam and he said "Hello" and I asked him if he remembered me from the "Actors for Oceans" event and he said "I totally remember you." I also said hello to Deb and she said "Hi Lynn, how are you?" I had just seen Deb at an event about a week ago. As I was leaving the line, I said hello to Mara of HBO and EJ Scott who were sitting near the table. 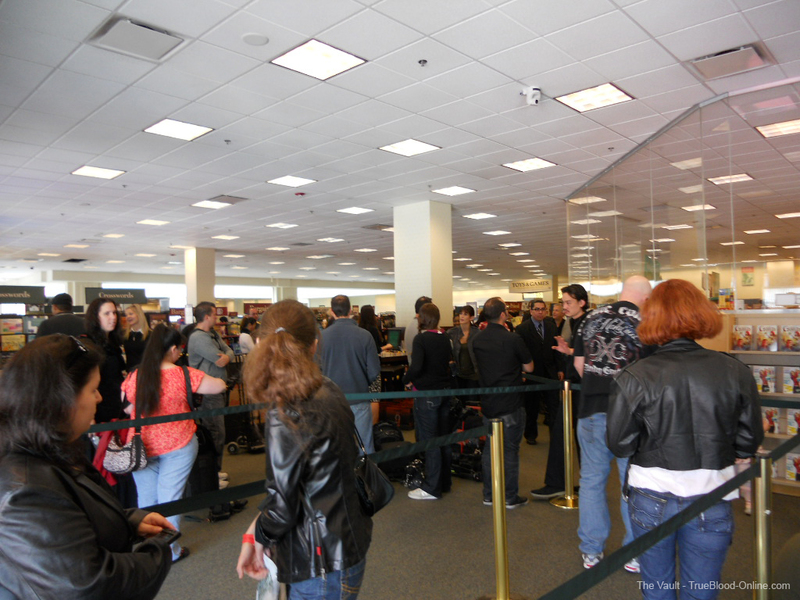 Below are some of the photos I was able to grab while waiting my turn in the line to approach the signing table. Then, that quickly, the signing was over and I was directed to the exit. I was told by HBO that I could shoot video since I wanted to get some fan reactions, and I got three fans that were kind enough to talk to me. 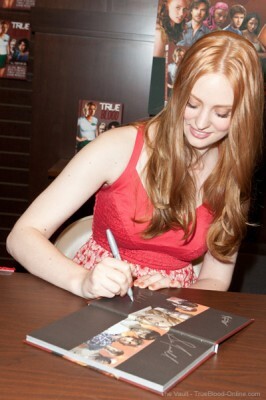 It was a good experience, since it was my first "book signing" and I'm really glad I went. Here's what the signatures look like inside the cover of the book. One of the copies I got is for me and the other will be auctioned off for a charity fundraiser here at The Vault. 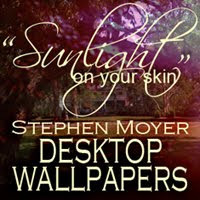 Special thanks to: Ryan, Sandy and Maria for allowing me to interview them. Also to Shadaliza for putting all my videos together and making them look so nice.